Easily customised with slats, infills, lighting or gates to transform the garden into a stylish outdoor extension of the indoor living area. SlimWall provides visually pleasing acoustic & boundary walling solutions, both for the residential and commercial sectors. Through consistent innovation, adaptation to market changes and an unfailing drive to set the highest product and customer service standards, the company has been firmly anchored as the industry leading manufacturer in Australia for years. All our products are 100% Australian design and manufactured and with more than 10 000 projects completed across Australia and internationally, SlimWall is the trusted partner for any walling project. 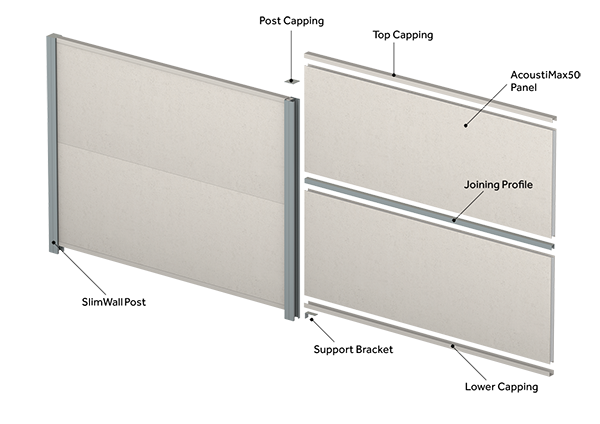 Our proprietary AcoustiMax50 composite panel is the core of any SlimWall. With fast installation, superior quality, excellent acoustic properties and designer finish options, our composite AcoustiMax fence panels provide the ideal base for architects and designers alike.